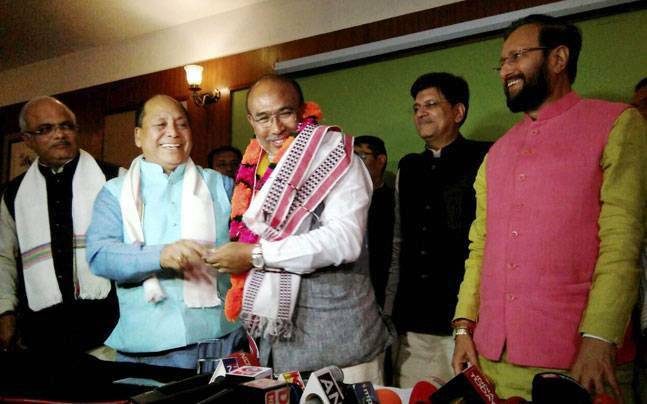 N. Biren Singh was sworn-in as the Chief Minister of the first BJP-led government in Manipur, a short while ago. Governor Najma Heptulla administered the oath of office and secrecy to Mr Singh at Raj Bhavan in state capital, Imphal. Y. Joykumar of the National People's Party (NPP) was sworn-in as the Deputy Chief Minister.